Happy Friday. With the hope that spring will soon be on it's way in the northeast, I created an inspiration board that makes me thing of spring with it's soft pastel colors. 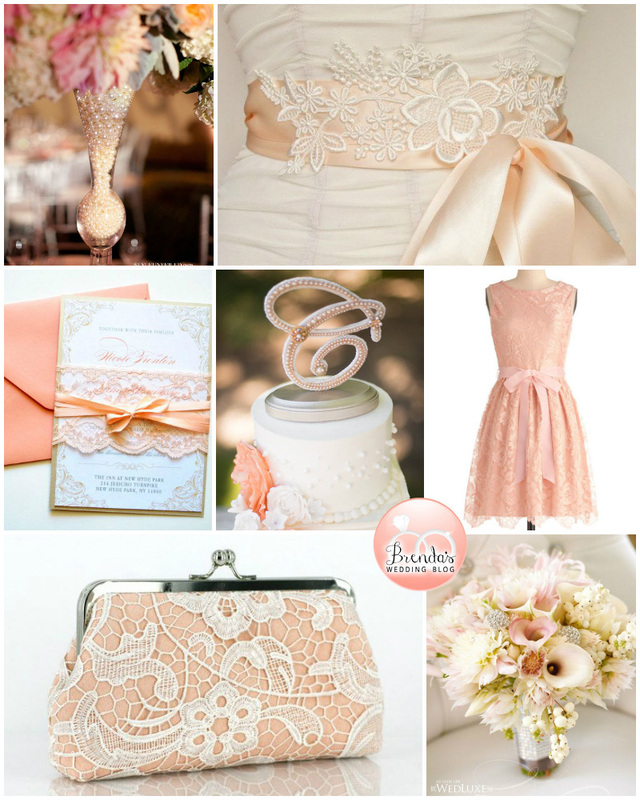 This inspiration board started when I pinned the bridal sash from Fancie Strands and the pearls in the vase on pinterest. Isn't that such a brilliant idea for a vase filler instead of seeing the flower stems?